Love conquers all. 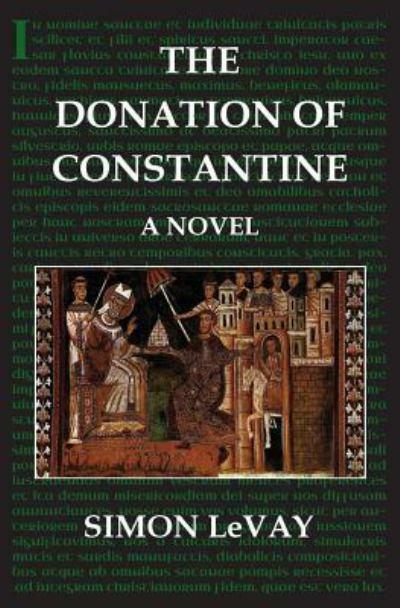 Even the Donation of Constantine. In the middle of the eighth century, Rome – the holy city and the residence of the Pope – is under attack. The Christian King of the Lombards, Aistulf, has conquered Ravenna and threatens the Eternal City. The protection of Rome lies in the hands of the Emperor, but the bonds with the Eastern Empire have long since weakened. In the Lateran Palace, the Holy See at that time, believers and non-believers are trying to convince the new-elected Pope Stephen to send messengers to the Emperor, or to take defence in his own hands, although there is no legal base for this action. And then Paul, the Pope’s brother, meets Leoba, a British nun and scribe. They are willing to help Stephen, and in their eagerness to protect the town, they decide to create – together with Omar, a trader in relics – the biggest and most influential forgery in history, the Donation of Constantine. In this act, the Roman emperor Constantine gives to every Pope since Sylvester not only spiritual power but also worldly power over the Christian world. Against this historical background, historical and non-historical characters act in a dance macabre of consequences. Stephen decides to travel north, to Pepin, King of the Franks, to crown him and to seek his support against Aistulf. In Rome, he is replaced by his brother and deacon Paul, who is left alone and torn between his love for Leoba and his doubt of the rightness of his actions. There is Zaïd, Omar’s son, travelling with the Pope, and Lenora, a Roman girl, following her parents back to Lucca. The forgery influences their lives, even the lives of those who are not aware of its existence and importance. Simon LeVay is at his best when he describes the feelings of individuals and the interaction between people who fall in love with each other. How much I enjoyed the doubts of Paul, the despair of Lenora, the strong belief of Leoba, the optimism of Zaïd, the intellectual and physical pains of Stephen, exhausted by his journey to protect Rome, the political and religious dispute between Paul and archdeacon Theophylact, the relation between Christians and Muslims, the spell-caster Sybilla and her difficult position between Christianity and paganism. Rome is the multicultural stage of the world, and the author a perfect puppet master. Sometimes however, the political discussions between the Pope and his entourage, necessary to create the right historical context for the papal actions and journey, seem to be a bit long and unrealistic. Chapter five is one of those longer discussions between members of the papal clergy, but once you passed it, you can really enjoy the later plot. On the other hand, the several discussions on the authenticity of the Donation are marvellous. It’s as if Lorenza Valla rose from his grave to lay out the arguments proving that the Donation is a forgery. During the papal journey, when the main characters of LeVay’s plot are separated from their beloved ones and they need to create new interactions, the action might look a bit forced: it is unlikely that the Christian Pope would develop a friendship with a Muslim slave, even in the severest of storms. But that is why this is historical fiction. Everything is possible if the author wants it to happen, and he can blame it all on the forged Donation. Once back in Rome, the ill Stephen defeats Aistulf with the help of Pepin, and Zaïd regains his true and only love. All is well that ends well, except for Paul, the Donation’s creator, for whom there is no mercy. Love conquers all in this historical fiction, even the biggest fraud. Read this book near the fireside while enjoying a good glass of wine, and put yourself in the skin of one of the men and women whose life was influenced by the Donation, for good or bad. We want more, Simon LeVay!